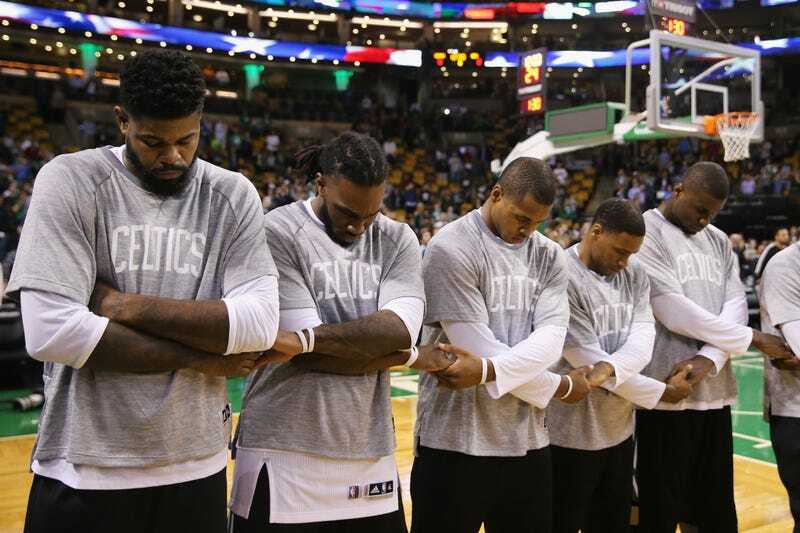 NBA Commissioner Adam Silver sent a memo to teams on Friday saying that he expected players and coaches to stand for the national anthem before games, as is the rule. The memo also recommended that teams show videos expressing themes of unity before their first home games, a possible compromise to those players who would like to speak out about social injustice and their right to protest with the league rule. In the memo, Deputy Commissioner Mark Tatum suggested that teams use their opening games “to demonstrate your commitment to the NBA’s core values of equality, diversity, inclusion and serve as a unifying force in the community,” according to the New York Daily News. James called the president a “bum,” while other players expressed their disagreement with the president. Sports and politics in a head-on collision. It should be an interesting season for a league of mostly (82 percent) black men who are seen as having more political (and financial) power than those in the NFL. No word on what the penalty is if the rule is broken.